There’s no denying how important search option optimization is, especially when it comes to your online store running the WooCommerce platform. However, while the platform has been made to be as easy to use as possible, that’s not to mean you can’t use it without making a mistake. In fact, there are plenty of mistakes you can make, but they’re easily avoidable, or fixable if you know what you’re looking for. 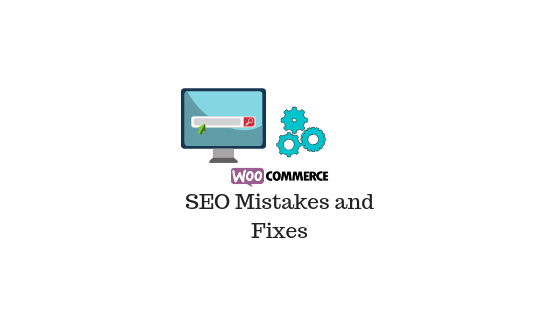 With this in mind, today we’re going to explore six common WooCommence SEO mistakes, as well as detailing how to fix them. You can find more information about some of the popular SEO tools here. When using WooCommerce, it’s important to make sure your website is loading quickly and without delay. After all, statistics show that most people will leave and try another website if it doesn’t load after three seconds. As you’re running WooCommerce, the chances are you have a lot of images on your website as products and headers, etc. so you’ll want to make sure you’re optimizing and compressing these images, so they’re not too big to download, and that your server settings mean the fastest download times. One of the most serious mistakes that people make on their eCommerce website is not structuring their website pages into a format that’s easily read by the algorithms of search engines and therefore making it lower ranking overall. As a store, you should structure your pages into categories using an easy to follow file structure format. For example, as a clothes store, you can have categories based on gender or age and then list clothing types, like jackets, shoes, and shirts, etc., in their own categories. Via Writing / Studydemic – These are two websites full of online writing guides to help you optimize your WooCommence content to rank as highly as possible. Academized / Paper Fellows – Use these online tools to help format your content in an SEO-friendly manner. Academ advisor – This is an online resource to help check the grammar of your content, as well as providing you with tips to ensure you know the skills to do it properly in the future. Big Assignments – This is an online editing tool, as recommended by Bestaustralianwriters, to help you perfect the quality of your content, so it’s informative and extremely readable. My Writing Way – This website is full of online style guides to help you design and format your content into content that really makes your website pop. Elite Assignment Help / State of Writing – These are two tools that can help you generate keywords for your SEO-optimised content, as well as subheadings and titles (headers). Even if you have a basic knowledge of SEO, the chances are you’ve heard of keywords and understand their importance briefly. Even though the days of keyword stuffing have been and gone, you should still never underestimate the importance that keywords have. Most importantly, you’ll want to remember that a lot of people are now searching online using voice search devices, such as smartphone assistants and technology such as Alexa. This means implementing key phrases into your content to help you rank higher in these searches. Having a mobile-friendly website is essential, and there’s no way around it. Having a high-ranking SEO website depends on having it. What’s more, with over 50% of all internet traffic coming from mobile devices, people are going to leave if your website is not suitable for their devices. 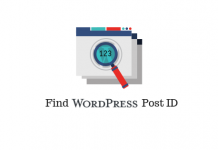 If you’re using WooCommence, the chances are you’re using a platform like WordPress to host your website. This means using a mobile-friendly theme and optimizing your content to suit mobile device screens. When it comes to making sales on an online store, there’s no better feature than a CTA to confirm the purchase and drive leads into profitable customers. While a great selling tactic, these CTAs are also vital when it comes to optimizing your website for SEO. Not only is the CTA content itself indexed, but as is the link and referring to things like click-through rates and bounce rates. All of these need to be optimized in order to rank your website highly. As you can see, there are a lot of things to consider when it comes to optimizing your website when you’re using the WooCommence platform. The most important thing, however, to remember, is to aim to give your customers the best experience in every aspect. Do this, and you’ll rank highly in no time at all! Previous articleWhat is a Content Management System (CMS) and Why WordPress is a lot more than that?